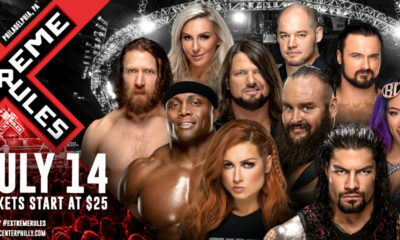 Mathew brings you the last set in his 25 Best Matches of 2018! What matches topped his list? 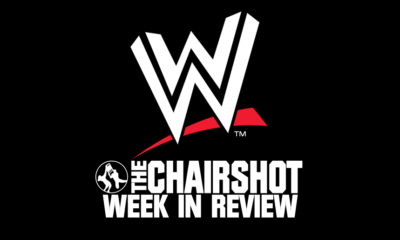 Welcome back to my list as we have reached the final countdown and I’m not talking about the song, as we now talk about the final five matches off of my list. This one was difficult to position to see which one of these five did I like more compared to the others, but all five of these matches were worthy for the Top 5 spot. I’ll also be providing links for the previous twenty for those that missed any of them or are just catching up now and I recommend you check them out before continuing forward. So who makes the cut for the final five? Let’s find out. – Bet you were wondering when Kento Miyahara was going to make it to this list, huh? Well, it’s no surprise that he’s in the top five with the series of matches he’s had this year and once again proving why he should be on peoples watch list. Around sometime in July, Zeus defeated Kento Miyahara to win his first Triple Crown Championship which was long overdue and the two would fight in a rematch after Kento won the Oudou Tournament to earn this opportunity in one of the top billed matches for the year. This match brought back the King’s Road style of Japanese Wrestling and what is King’s Road style, you ask? King’s Road is a combination of their Japanese style mixed with Southern wrestling from the ’70s and ’80s due to the partnership they had with NWA at the time. Both Kento and Zeus represented it in such a well matter that they proved that they’re the top two guys in the company right now and that they could lead the company to new heights. Kento defeated Zeus to reclaim his belt to become a four-time Triple Crown Champion and I do wish Zeus had a longer and more successful reign with this run due to it being the first one, but Kento is the ace of the company for a reason and Zeus is at the point of his career that he can be bigger than the belt due to how popular he is. Kento told Zeus after the match that they’ll both lead AJPW to a better tomorrow and they’ll do it together as they shook hands and the crowd would chant for not the two of them, but All Japan. Such a great moment for the company and a great match to top it off. – First, I wanna say congratulations to WALTER for being the only one to make it on the list three times and I normally keep it to just two for the most part but it’s hard to deny that WALTER had a phenomenal year and he had a much better match then the two previously mentioned on this list and it was against his Ringkampf partner, Timothy Thatcher. The two would fight off at PROGRESS for the Atlas Championship to start off the year and if you wanted to see a brutal fight, then look no further since this delivered. Remember when I said WALTER just shows no mercy to his opponents? Well, he would take it to an extra level in this match and to his own partner no less, hate to see how it would go if they were enemies instead. At the same time, this is probably how they would want it due to the amount of respect they have for each other that they didn’t wanna hold anything back. The match has mat wrestling and just the two beating each other up any chance they get with WALTER mostly chopping him down as many times as he can like he does with many of his opponents, but why change it since his chops are deadly and very effective since they show results. Timothy is someone that is great in the ring and has so much knowledge to give to fellow wrestlers with how intelligent he is that he’d be a great coach whenever he decides to retire. Even when Timothy took a big beating throughout the match, he would have an even match with WALTER as the match got closer to the end but WALTER would retain the championship in my favorite UK match. The bruises left on Timothy after the match would just tell the story for you. – Last year, Hiroshi Tanahashi and Kota Ibushi would have a near classic at Power Struggle and now they’ll deliver another classic along with being my favorite New Japan match this year. Instead of them fighting for the IWGP Intercontinental Championship, they would fight at the finals for the G1 Climax where the winner will fight Kenny Omega for the IWGP Heavyweight Championship at the Tokyo Dome. Just even the entrances were a great moment where you see Kenny Omega walking with Kota Ibushi to the ring and on the other one, you have Hiroshi Tanahashi being accompanied to the ring by Katsuyori Shibata, which alone was a fantastic sight itself to see. So what makes this match so good? The storytelling in the ring is top notch, the wrestling was crisp, the emotion in the match was unreal, and the atmosphere of the ring was breathtaking. This was also the best Tanahashi has been in a couple of years and it’s no surprise why he won the MVP of the year during the Tokyo Sports Awards, plus he also showed he can still go despite his body still being broken. Tanahashi would do what people didn’t think would happen as he won the G1 Climax once again when he defeated Ibushi and was carried by Shibata after the match to make another great moment while Kenny stared up at his future opponent. Another big part of this was Ibushi does see Tanahashi as a god of professional wrestling and no matter how good he’s gotten since the last time they fought, he still couldn’t be able to defeat him when it mattered. We got Hiroshi Tanahashi taking on Kenny Omega at Wrestle Kingdom 13 where it’ll be tradition vs evolution in the match, but will Kenny be able to do what his Golden Lover couldn’t do or will both of the Golden Lovers fall to Tanahashi? 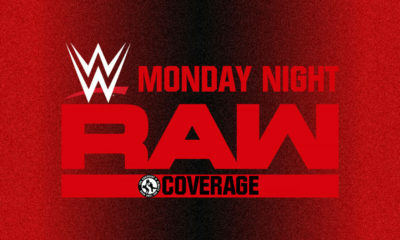 It’s a match I’m looking forward to and we wouldn’t have gotten it if we didn’t have this incredible match to set it up. – What was not to love about this match? This match had that old school feel that paid homage to that type of wrestling you would see back in the NWA glory days but they would evolve it in a way to adapt to how wrestling is now and guess what? They were able to make it work. 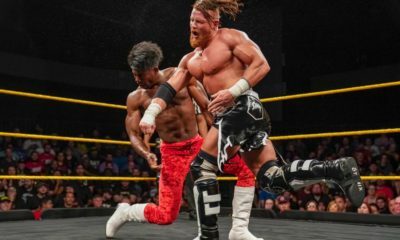 This was also Velveteen’s first shot at the NXT Championship who has been on fire lately since last year when he fought Aleister Black at the last War Games Takeover, so kinda ironic how a match of his with the same show name made it back on the list and higher no less. Velveteen’s charisma is off the charts and he would always find ways to make each Takeover he’s apart of win or lose, but he puts his name in people’s mouths for doing stuff like this and that’s his ultimate goal, to get people talking about him and we hear him loud and clear. I was also worried about the direction of Tommaso Ciampa after his rivalry with Johnny Gargano since I didn’t want it to be like he would be forgotten or dropped down on the card after his feud, but I’m glad that wasn’t the case since he’s still the top heel in the brand and he has a legit opponent for his next title defense. The mind games they played at the beginning were great, the wrestling was spectacular, the overall story of the match went exactly how it should go. There was one moment in the match where I thought Velveteen was going to win the title when he hits the Purple Rain Maker after hitting a move to the outside as the crowd was getting ready to get off their feet, but Ciampa still found a way to kick out. The near falls while a little bit too much also had the right timing for the ones that needed it the most but Ciampa would retain the title and another classic is in the books. 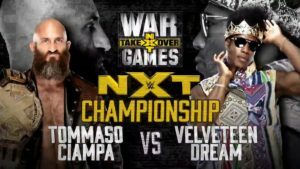 Ciampa would even call Velveteen a prodigy of sports entertainment and I would like to say that he is too, so that’s a great compliment given to The Velveteen Dream. 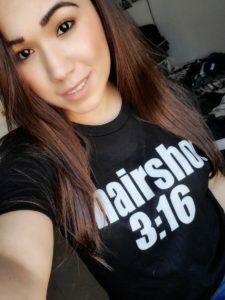 The perfect balance of both professional wrestling and sports entertainment, what more can you ask for? 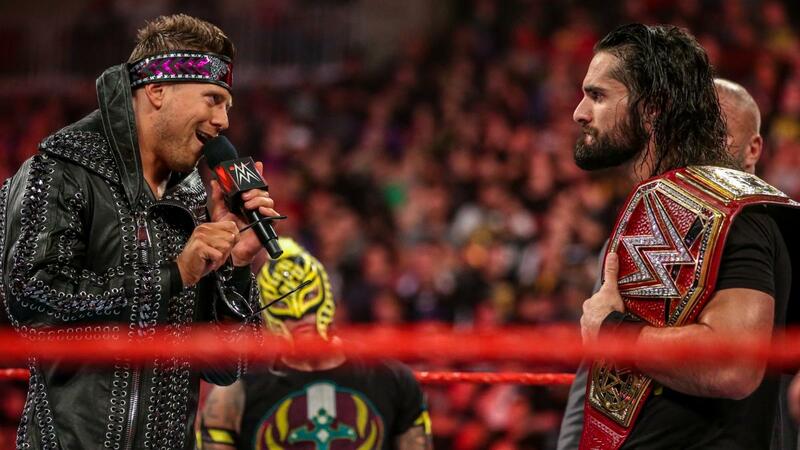 – Once I saw this match live when it happened, I knew this was my match of the year and was going to have a difficult time being topped for a lot of reasons. This match also had a lot of concern for the All Japan locker room due to Naomichi Marufuji being apart of Pro Wrestling NOAH and if you know the history between the two promotions, still some bad tensions there and Jun Akiyama, the current president and booker of All Japan Pro Wrestling of all people was the one who invited him to come to this year’s Champions Carnival despite him working for the other promotion. So why did Jun invite him? I think it’s more of trying to find peace or a middle ground between NOAH and AJPW, and he fought the way to do that was to invite him to their biggest tournament to show that there could be some unity between the two promotions. Marufuji would even fight Jun at the final day of B Block and the story of that match was unbelievable as it should be seen by everyone who knows the history of these two promotions or even just a fan of these two wrestlers. 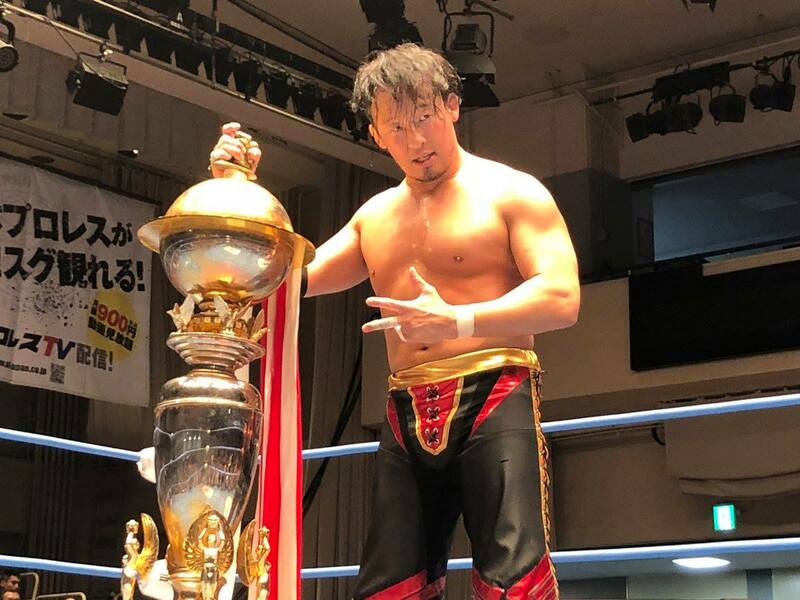 To everyone’s surprise, Marufuji would win his match to advance to the final round and he would now fight the winner of A Block and Triple Crown Champion, Kento Miyahara. I thought this was another incredible chapter to the AJPW/NOAH storyline that they had panned out for this Carnival and for Marufuji, his performance was like how he was when he wasn’t all battered and bruised since he showed he can still fight on a top level and he had the perfect opponent for him to take him to that level. This match is mostly on here for the storytelling between the two promotions but the wrestling in this one itself is also a sight to behold as everything was just crisp and the strikes they did to each other were deadly with each move done to them. Marufuji would be the winner of this year’s Champions Carnival to many surprises as well since I’m sure a lot of people expected Kento to win his first carnival, but it was Marufuji and NOAH for that matter that won the tournament. I thought it was a great move as Marufuji is a fantastic wrestler and I felt like it was needed to mend that bridge between the two and was a step in the right direction. 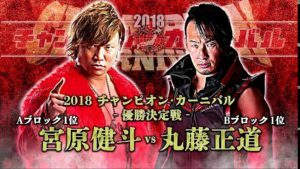 The two would have a rematch a month later for the Triple Crown Championship this time and while a great match, their first encounter was hard to top and still holds the best bout for their year and since Kento did defeat Marufuji that time around, they’re tied one and one, so I hope a rematch can happen soon for 2019. 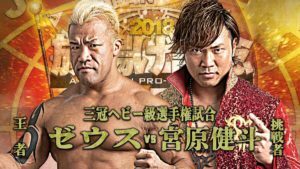 Can AJPW and NOAH finally make peace with each other and work together more often? Only time will tell with what they wanna do next. Incredible story, incredible match, the history is all you need to be invested, and my favorite match of 2018. 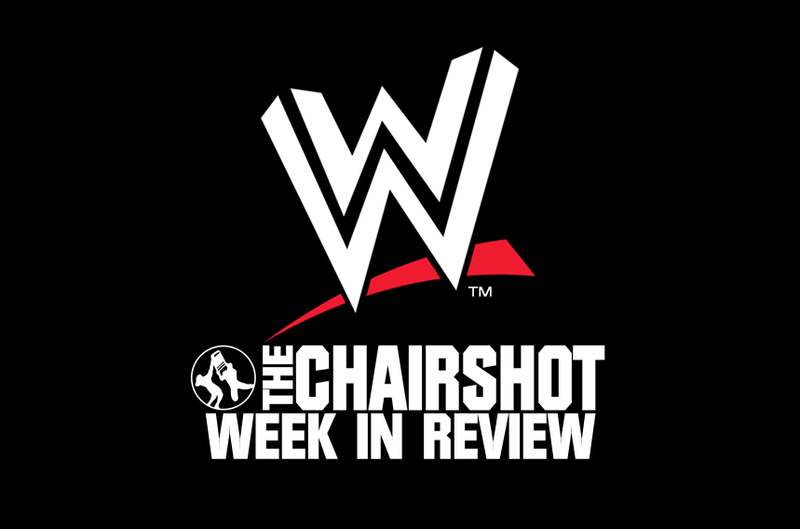 I wanna thank you all for following me on this journey of me counting down my favorite matches of the year! I’m sure some of them surprised you while some were expected but not in certain positions you’d be expecting. 2018 was still a great year for professional wrestling and I hope to see the ball still running for 2019. 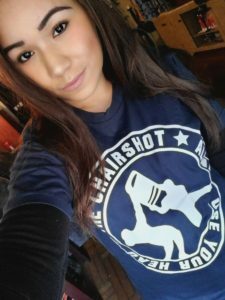 Tune in all I’ll be providing more Stardom content, the return of my Wrestling Quickies, and more of the promotions I cover along with some new ones if there’s time. Hope you all have a Happy New Year! Daily DeMarco: Pete Dunne Taking Increased WWE Role In 2019?